What is the Birmingham Diamond League? The Diamond League is a fourteen-leg series of track and field meetings across the world. This will be the second year to feature the new championship style system where the top eight athletes at each meeting are awarded points. These determine who qualifies for the finals in Brussels and Zürich. The twelfth 2018 Diamond League meeting, in the Alexander Stadium in Birmingham, UK, will take place on Saturday, August 18 starting at 1pm BST (9am ET, 6am PT, 11pm AEST). The Diamond League moves on to Birmingham this weekend for its 12th and final meeting ahead of the finals in Zürich and Brussels at the end of August. 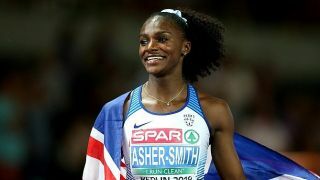 YOu can live stream the likes of Dina Asher-Smith, Zharnel Hughes and Noah Lyles all taking part. On Saturday at Alexander Stadium, there will be a total of 14 events (seven men’s events and seven women’s events) including pole vaulting, long jump, high jump, hurdles, 100 meter races and more. The Diamond League attracts the biggest names in athletics from all around the world and two world records have previously been set at the at Birmingham in 2004 and 2006. While many of the finalists in this year’s fourteen-leg series of track and field meetings have already been decided, the last places in the IAAF Diamond League finals are still up for grabs. This means that the competition at Saturday’s events will likely be fierce as athletes try to qualify for their place in the final where they could be crowned the IAAF Diamond League champion and walk away with a winning bonus of $50,000. If you’re a fan of athletics and enjoy seeing contestants from all over the world compete in track and field, then the Diamond League is an absolute can’t miss. Lucky for you, we’ll show you how to live stream the Diamond League at Birmingham from anywhere in the world. Football fan? You can live stream the Premier League with our guide. Catching world-class athletics is pretty easy in certain countries like the UK and the US, but it hasn't always been so simple in other countries. Luckily, the growing popularity of VPN services have helped in that department. If you don't have easy access to watch the Diamond League at Birmingham where you live, the best way to live stream it is to download and install a VPN - that let's you alter your IP address to a country where it is streaming. Then simply relocate to a UK server on your chosen VPN (it's really easy to do) and head to TVPlayer.com to watch all the coverage live. If you’re in the UK, then you’re in luck as the BBC will be showing all of the action at Alexander Stadium in Birmingham for free both on television and online. To watch the Diamond League on your TV, simply head to BBC One on Saturday and if you happen to miss the event, it will be re-broadcast on BBC Two on Sunday. You can also stream the whole event via BBC iPlayer on mobile and on your favorite streaming devices such as Apple TV, Roku, Chromecast and more. Not in the UK but still keen to watch? Then you'll need to grab one of the VPN services above and get yourself logged in to the UK before heading to TVPlayer.com. Athletics fans in the US can catch all of the coverage of this year’s Diamond League on NBC either on TV or online. The network will show the Diamond League at Birmingham this Saturday at 9am ET or 6am PT. Avid track and field fans who want the most extensive coverage of the Diamond League can sign up for the NBC Sports Gold Track and Field Pass that will allow you to watch the entire Diamond League live and on-demand at each of the fourteen legs around the world. The service is currently on sale for $69.99 but if you want to watch all of this year's marathons and international competitions on all of your devices then it just might be for you. Don't have NBC and don't fancy paying for the privilege of watching the athletics? Then you could always download and install a VPN and then watch the FREE UK broadcast as described above. Sling TV $25 per month - Sling TV is an inexpensive way to watch sport. Sling TV is compatible with Apple TV, Roku, Xbox One, Chromecast as well as lots of other devices and its easy to get started with a 7-day free trial. For Canadians watching the event is a straightforward process as the entire Diamond League at Birmingham will be aired on CBC starting at 9am on Saturday. The network will also live stream the event online so whether or not you have a television, you’ll still be able to catch all the action this weekend. Or you could always give that VPN route a whirl. Just follow the easy instructions further up the page. Australians with Eurosport, you’re in luck. The sports channel will be covering the Diamond League at Birmingham from 11pm. This is available through the Eurosport app with a subscription that means you can watch it from plenty of devices anywhere with a good enough data connection.